This morning I voted in the Swedish election. 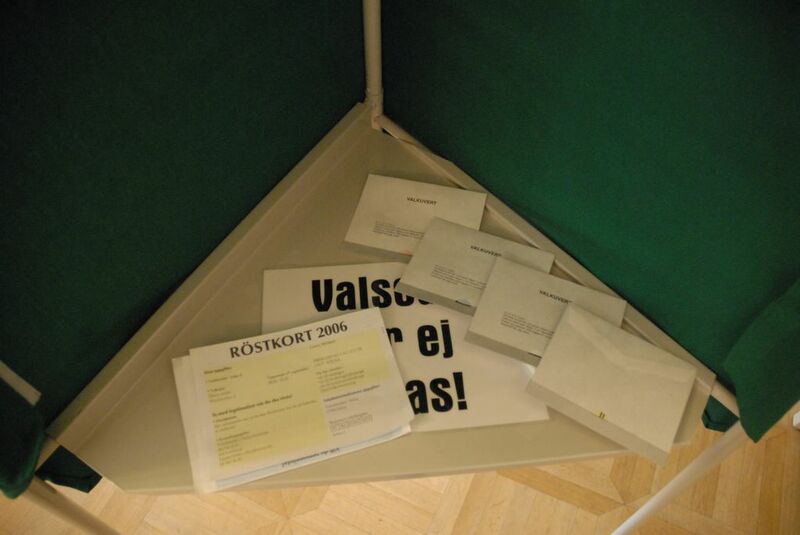 One votes by placing the ballot of the party of one's choice in an envelope. There were three elections and one referendum. 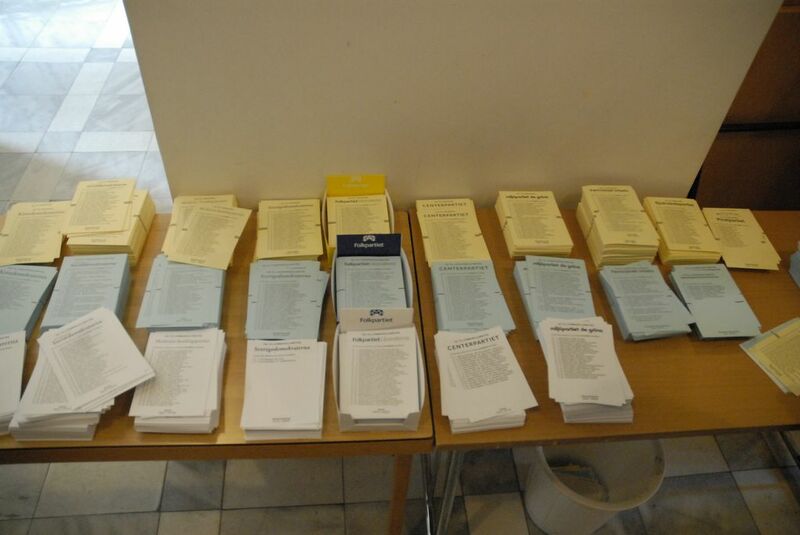 The three elections' pages were color coded: yellow for the national parliament, blue for the local county, and white for the city (in my case, the city of Solna). There was a fourth red colored page used to vote yes or no in the city referendum on congestions fees. 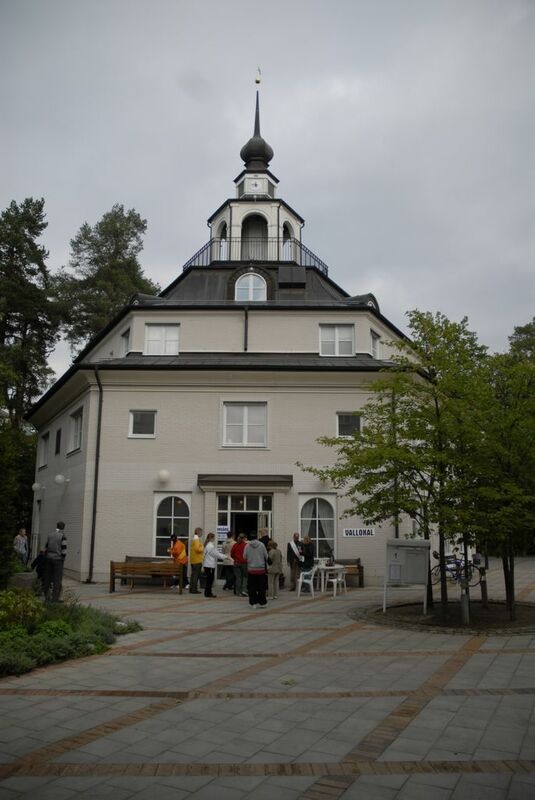 Each party has its list of candidates listed on its page. If you want you can place an X in the box next to the name of a candidate to which you which to place at the top of the list. If you don't place any check marks, the party's order applies. The order determines which candidates will get seats. The number of seats each party has to allocate to candidates depends on the percentage of votes the party receives, so the order of candidates is important to determining who will serve and who won't. To vote, you grab the ballots you want, go behind a screen, and put the pages into little envelopes. To keep the choices private, many people take with them ballots for all the parties, and only select which one to place in the envelope once behind the screen. Once the ballots are in their envelopes, their color shoes through a hole in the bottom. 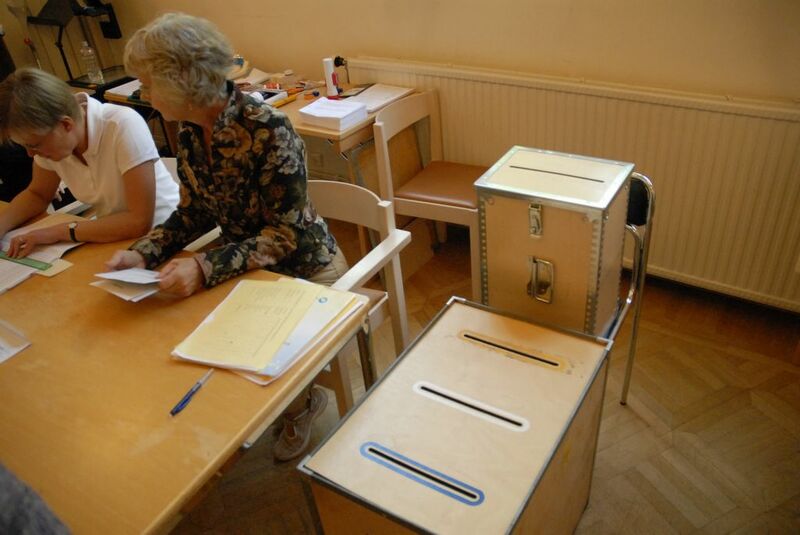 This allows the envelopes to be identified and placed in the right ballot box. 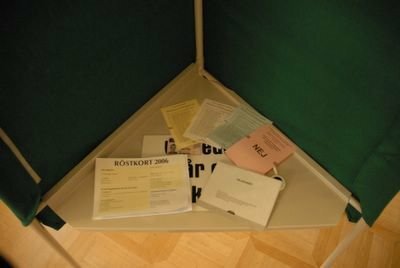 The slots in the ballot boxes are also color-coded. Once you have your ballots in their envelopes, you hand these to the election worker along with your voting card that you receieved in the mail. All citizens and resident card holders receive a voting card in the mail. No voter registration is required. The election worker finds your name on the list, checks your ID, and then places your ballots in the appropriated slots in the ballot boxes. And that's it! No pencil marks. 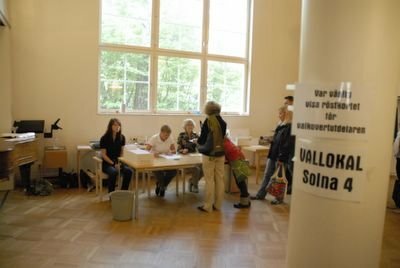 No computers to loose your vote. No hanging chad. Little room for error. 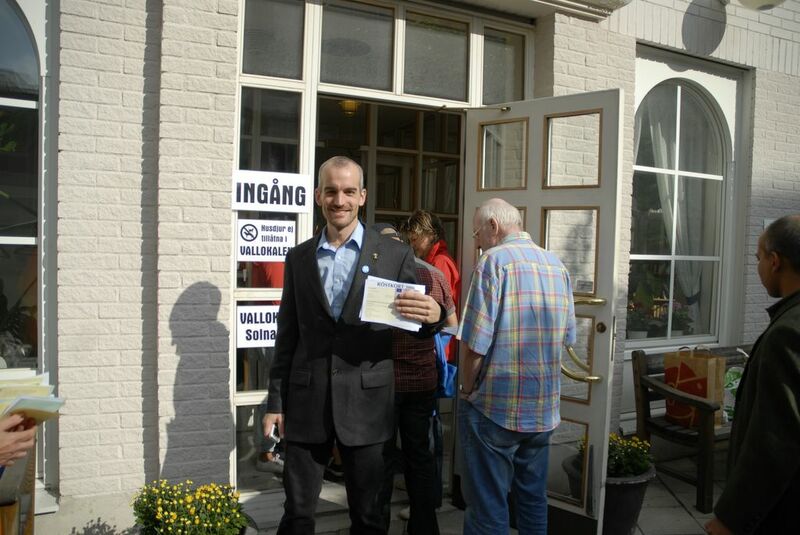 It was exciting to participate in my first Swedish election. Go, Sweden!